Amazing to look at and incredible to drive, introducing Lexus performance and refinement in a luxury sedan. 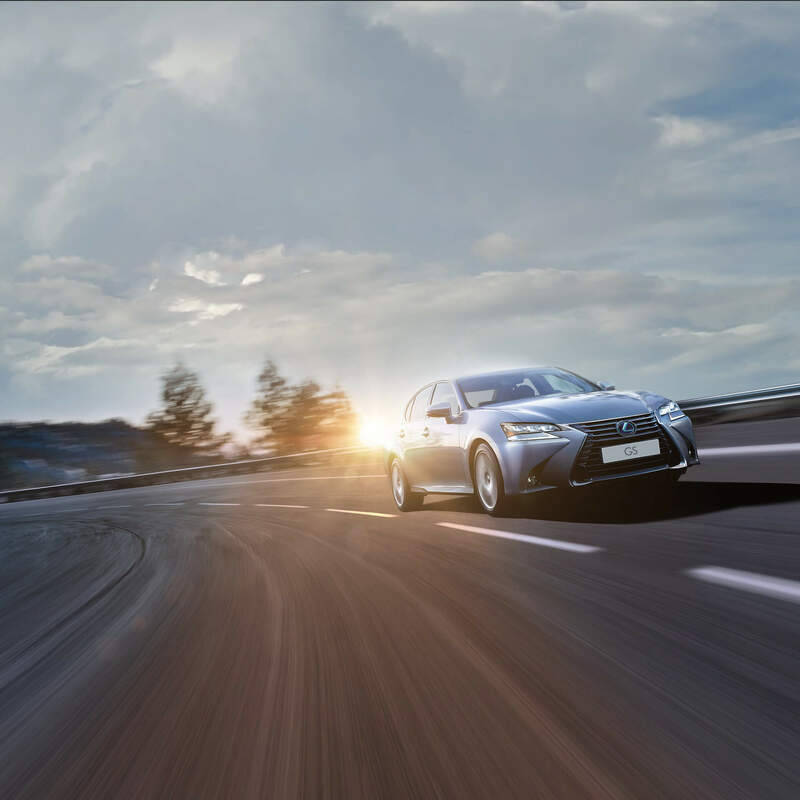 Our engineers travelled the equivalent of 26 times around the Earth to develop the peerless driving feel of the GS. Not one of those kilometres was wasted; increased chassis' rigidity, new performance dampers to deliver improved handling, and the development of a new rear multi-link suspension. We then improved aerodynamics and reduced wind noise to create a luxury sedan that exudes legendary Lexus luxury complemented with exhilarating sporting performance. Although the GS can be driven in fully automatic mode, the steering wheel mounted paddle shift controls offer a more immersive drive with swift, manual gear changes. Over 2,000 hours were spent optimising the design and positioning of the Mark Levinson® surround sound speakers, to give you an immersive audio experience. Both front seats feature butterfly headrests, adjustable pelvic support, with shoulder and side supports. Smart phones, and other multimedia devices, can be viewed and operated via different display screens, providing seamless digital connectivity while you're driving. Both driver and front passenger seats can be heated or ventilated individually to offer an extra level of comfort, whatever the weather. The GS has a load carrying capacity of 450 litres, which can transport up to four suitcases or easily accommodate three sets of golf clubs. Beneath the muscular and athletic styling of the GS lies an exceptionally quiet cabin, brimming with first-class luxury and technology. Amazing to look at, but also incredibly enjoyable to drive; for instance, the eight-speed paddle shifters are mounted in the steering wheel, putting sports performance and exhilaration right where you want it - at your fingertips. The extra large 12.3-inch multimedia display allows driver and front passenger to interact using Remote Touch, while voice commands also control a number of applications. The split-widescreen allows you to view at-a-glance driving and entertainment information simultaneously. Featuring world first nanoe® technology, the new GS cabin is divided into three electronically controlled climate zones. Front seat occupants input their individual settings via Remote Touch or the front panel, while rear passengers control their zone using a dedicated panel. Digital applications can be synchronised to the multimedia display. For example, a smart phone’s entire address book can be simply downloaded, and then scrolled through on the display. An iPhone® or other multimedia devices can be viewed and operated via different display screens. A specialist team dedicated over five years to developing a seat structure that offers optimum relief from fatigue. Adjustable pelvic support – a world first – together with shoulder and side support and butterfly headrests are specified on both front seats. On the Luxury grade, the steering wheel can optionally be specified in a leather/wood design. There is a choice of wood color and finish; gloss or matt, and all steering wheel designs can be heated. In addition to an immensely strong passenger safety cell, protection is provided by ten airbags. The driver and front passenger are protected by 2-stage head airbags, as well as knee and side airbags. Outer rear seats are equipped with side airbags, while curtain shield airbags run the full length of both cabin sides. An adjustable LED Adaptive High-beam System prevents the GS from dazzling other road users. A total of 11 independent LED chips in the headlight are enabled/disabled for precise control of the illuminated and non-illuminated areas. The Road Sign Assist (RSA) system on the new GS recognises traffic signs using the windscreen mounted camera, and provides information to the driver in the multi-information display. RSA can detect signs that are compliant with the Vienna Convention (including electroluminescent and flashing signs). The damping force at all four wheels is intelligently controlled by the Adaptive Variable Suspension in response to road surface conditions and driver input. This not only improves ride comfort, but also increases handling stability – especially during higher-speed cornering. Discover the GS from all angles.